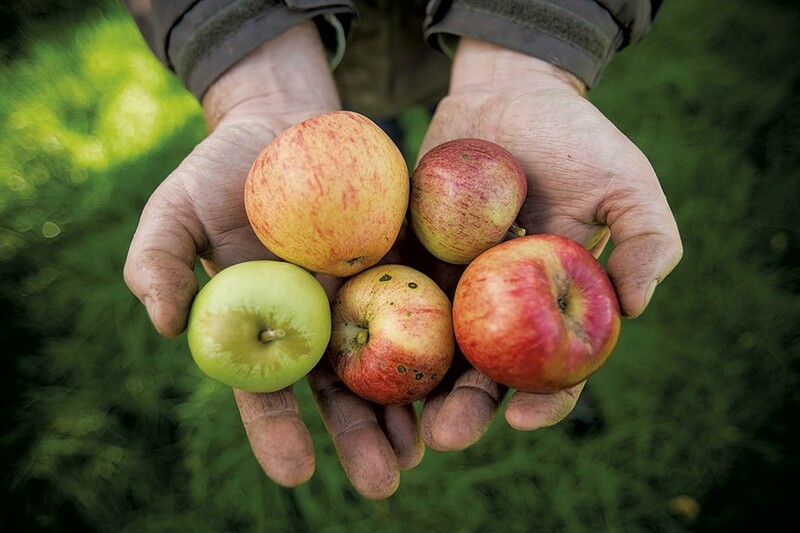 Shacksbury cidery in Shoreham has gleaned significant praise, both locally and nationally, since cofounders Colin Davis and David Dolginow began pressing apples in 2013. Now the cider makers are gearing up for their next venture: moving Shacksbury's production to the Kennedy Brothers building at 11 Main Street in Vergennes, where they'll have an in-house tasting room. "Our plan was to focus on wholesale for the first couple of years," says Davis, "but we're ready to have a public face." Since opening for business, Davis and Dolginow have fermented their small-batch ciders in the barn on Davis' personal property, with supplementary production at Vermont Refrigerated Storage, formerly the Shoreham Apple Co-op. 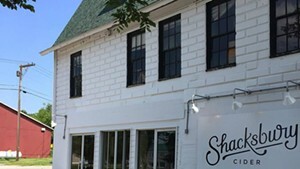 The old co-op will still be used for shipping and distribution, but the new Kennedy Brothers location will be the main showcase for Shacksbury Cider's repertoire. A modest bar area will have draft lines available for tasting, accompanied by simple bites such as local cheeses, charcuterie and roasted nuts — "light fare that goes great with our ciders," says Davis. On-site sips might include cool glasses of earthy, dry Classic; aromatic, refreshing Arlo; and musky, spicy Basque. Small tanks will hold special-release blends only available in-house, such as "Pèt-Nat," an unfiltered cider naturally fermented from "lost" apple varietals and old-world English breeds. Shacksbury's facility will occupy the white masonry section of the L-shaped Kennedy Brothers building, a former creamery built in 1909 and restored in 2012. Design plans call for glass walls with clear views of the cider cellars and manufacturing process. An event space is also in the works, where Davis hopes to feature food trucks, guest chef pop-ups and Basque-themed dinners. "We're excited to connect with the Vergennes community and interact with the people who love to drink our ciders," Davis says. The duo signed the lease on the space on May 27 and hopes for an early 2017 opening — "if not sooner," he adds. The original print version of this article was headlined "Them Apples"